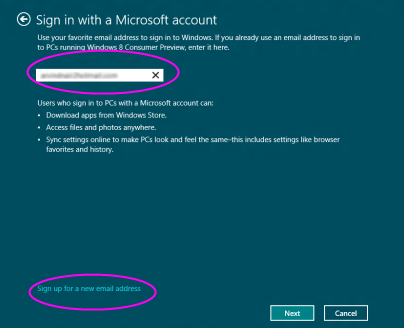 Getting started over Windows 8 need a login, either via Hotmail ID or the Microsoft one. Well, yes its true. 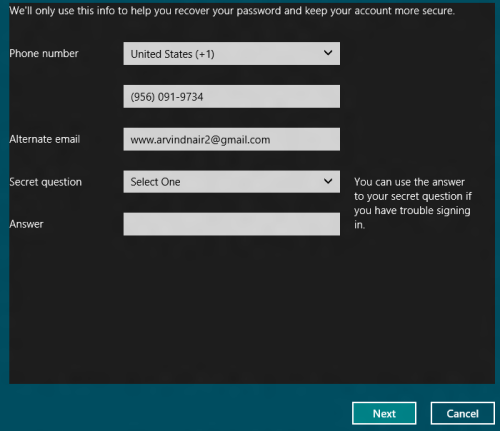 The exclusive Windows 8 comes up with creating an account with Microsoft. 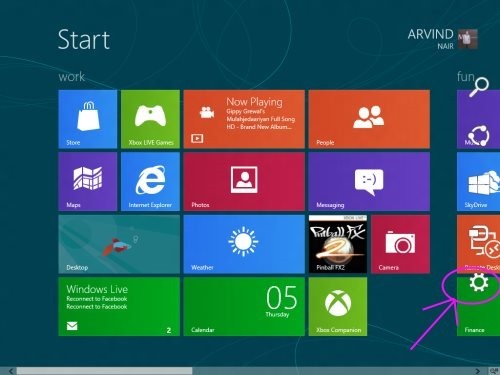 Apart from Hotmail or Microsoft Account, you can access Windows 8 with your local account. 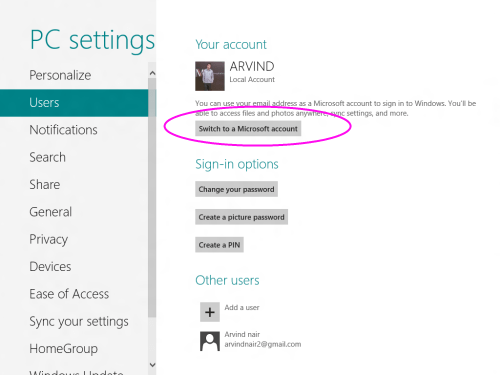 Thumbs up for signing in via Microsoft Account as it synchronizes all your settings with Windows 8. 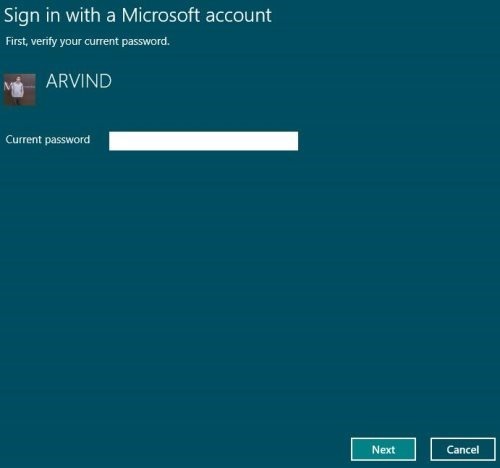 You will get all updated contents and setting when ever you login to windows account from any other device. However, there is always an option to toggle between the both accounts. 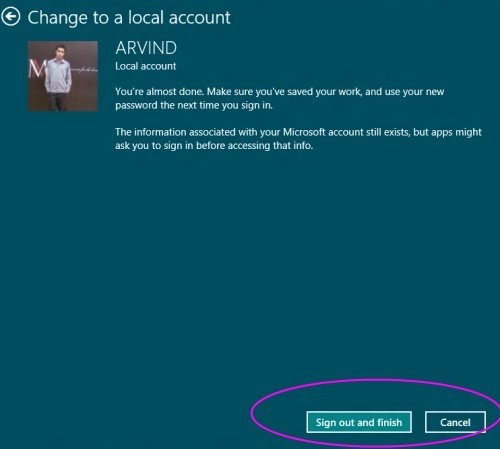 Here Is Short And Precise Tutorial To Toggle Between Windows 8 Microsoft Account And Local Account. Also check out our post on Windows 8 Apps Store. Let’s get started, ensure that you would be kept going on with me. First of all, go onto Windows 8 Metro UI and swipe to top right corner, you will get to see the charms screen. Click on “Settings” and then tap on “More settings”. Now, under the PC Settings, find the “Users” option and explore the option. 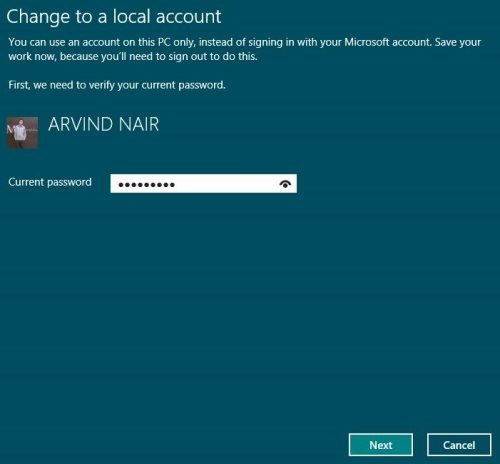 Now tap to “Switch to a Microsoft Account” . Enter the security verification info like alternative email. Click on Finish to finalize your settings. Yup..you are done. 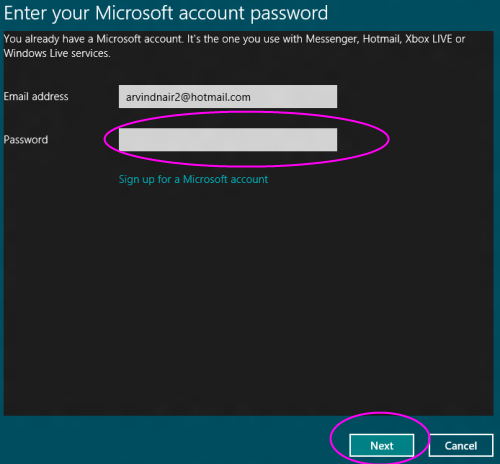 Start accessing Windows 8 via Microsoft Account. Follow the same steps as above to get back to Windows 8 “PC Settings”. Now Click on “Switch to a local account” option. You are now back to your local account. You are done. Go ahead try out yourself.